It's almost impossible to count all the incarnations of Jerry Goldsmith's exciting 1966 World War I adventure score (at least two LPs and three CDs prior to this one). But we can say that The Blue Max has found its final, definitive edition, with all the music (used and unused in the score) presented in proper context. 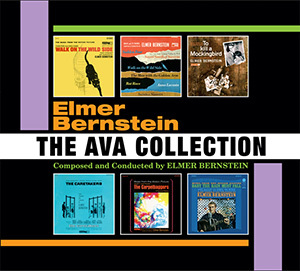 Perhaps the best of this year's numerous box sets, this 3-disc set contains the six LPs that composer Bernstein recorded for Ava Records between 1962 and 1965, including five film scores (To Kill a Mockingbird, Walk on the Wild Side, The Carpetbaggers, The Caretakers, Baby the Rain Must Fall) and a great jazz collection titled Movie and TV Themes. The stereo sound is simply stunning throughout, and the availability (at last) of Bernstein's original Mockingbird album on CD is of historical importance. The long-awaited expansion of John Williams' score for Steven Spielberg's 1987 film about a British boy in World War II China. "Suo Gan," "Cadillac of the Skies" and "Exsultate Justi" have never sounded so good. Also, producer Mike Matessino's lengthy booklet essay offers a fresh perspective on Williams' expansive choral and orchestral score. Perhaps the year's most unexpected delight, this groovy Lalo Schifrin score for the 1974 martial-arts film is a memorable musical follow-up to Schifrin's classic Enter the Dragon score from the previous year. The movie is something of a throwaway, with Joe Don Baker and Elizabeth Ashley on location in Hong Kong, but Schifrin's artistry (variously ethnic, urban, jazzy and always cool) justifies a viewing. This nine-CD box collects 18 original-soundtrack LPs from the legendary composer's fertile 1960-1979 period (all originally on RCA, Columbia and Epic) and adds a handful of interesting bonus tracks from some of Mancini's other LPs along with vocals by the likes of Andy Williams and Julie Andrews. Among the classics: The Pink Panther, Breakfast at Tiffany's and Charade; the rarities include Gunn, Me, Natalie and Visions of Eight. 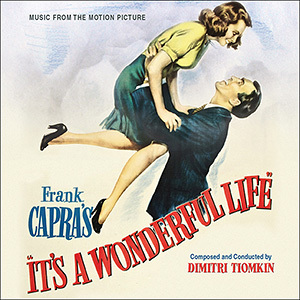 It's hard to believe, but this year marked the first official release of the original tracks for Dimitri Tiomkin's score for Frank Capra's beloved 1946 Christmas fantasy starring James Stewart. Tiomkin interpolates "Buffalo Gals" and other familiar themes throughout, but this is vintage Tiomkin and a historically significant score. You can bet there will be demand for a reissue of this sold-out title sooner rather than later. Tony Richardson's 1977 period comedy, based on the Henry Fielding novel, starred Ann-Margret and Peter Firth, but more importantly inspired an amusing, tuneful John Addison score reminiscent of his Oscar-winning Tom Jones (also based on a Fielding novel and directed by Richardson). This first official release is a welcome addition to our library of music by the fine English composer. One of Jerry Goldsmith's early classics, this 1963 score for John Huston's clever thriller starring George C. Scott is unusual for its tango theme and memorable for its many colorful musical moments, including a thrilling fox-hunt sequence. It's a soundtrack album for which some of us have waited half a century. John Barry fans had much to celebrate, with these meticulously reconstructed and re-recorded scores with Nic Raine conducting the Prague Philharmonic. 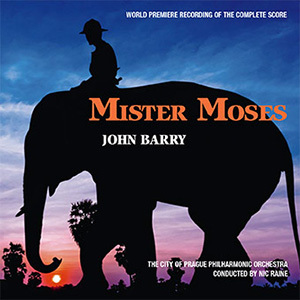 Barry's thrilling music for the African backdrop of the 1965 Robert Mitchum adventure film, and his warm and lovely waltzes for the 1978 adaptation of the Harold Robbins novel, are welcome additions to our Barry library. John Mauceri, one of the world's greatest champions of classic film music, conducted the Danish National Symphony Orchestra in this live recording of some of Hitchcock's greatest scores: Bernard Herrmann's The Man Who Knew Too Much, Vertigo, North by Northwest and Psycho; Franz Waxman's Rebecca and Rear Window; Dimitri Tiomkin's Strangers on a Train and Dial M for Murder; and Arthur Benjamin's "Storm Clouds" cantata from The Man Who Knew Too Much. 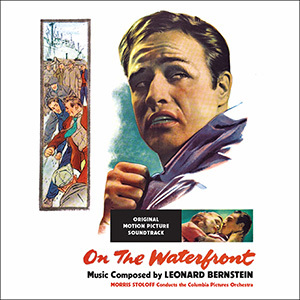 The original tracks of Leonard Bernstein's classic 1954 score have been unearthed and restored, making this among the year's most important historical releases. Included are truncated and unused cues, previously unheard. And despite their origins on acetate recordings (no tape apparently exists), it sounds surprisingly good. The score is, needless to say, a masterpiece (and Bernstein's only one for Hollywood). 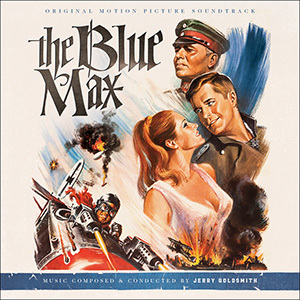 This was very likely the most fun album of the year: a first-ever CD reissue of Jerry Goldsmith's two soundtrack albums from the 1966-67 Fox films starring James Coburn as Derek Flint, agent for Z.O.W.I.E. With these two spy spoofs, Goldsmith demonstrated that he could be as hip as he needed to be, incorporating pop, jazz and rock sounds (and, for the sequel, an amusing song called "Your Zowie Face"). Director Francis Ford Coppola's 1986 fantasy, with Kathleen Turner as a stressed-out mom who travels back in time to her high-school days, earned a nostalgic, romantic score from English composer John Barry (in the vein of his more famous scores for Somewhere in Time and Out of Africa). This expanded edition of the soundtrack features all of the Barry score, for the first time (plus the songs that were on the original LP). Henry Mancini's delightful music for Peter Sellers' fourth go-round as the bumbling Inspector Clouseau gets the deluxe treatment, doubling the running time from the original LP's 37 minutes to 74. The wonderful "Inspector Clouseau Theme" and the Oscar-nominated song "Come to Me" are highlights from this 1976 score. This is another of those reissues that was worth acquiring for the sonic improvement alone. We've heard Jerry Goldsmith's incredible score for this 1964 Western before, but never quite this well. Restoration expert Matessino went back to the Fox elements and, using the latest technology, managed stereo mixes and greater clarity than ever. Two of the four initial entries in Disney's new "Legacy Collection," featuring expanded, remastered scores from the studio's (mostly) animated classics. 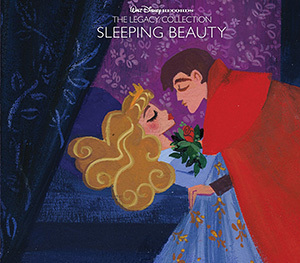 The 2-disc Sleeping Beauty (1959), scored by George Bruns adapting the Tchaikovsky ballet, and the 3-disc Mary Poppins (1964), with the Oscar-winning songs by Richard and Robert Sherman and score by Irwin Kostal, are must-haves. Younger fans may prefer the 2-disc sets of The Little Mermaid (1989) or The Lion King (1994). Jerry Goldsmith's music for the 2002 Tom Clancy thriller starring Ben Affleck was his last important score, and its expansion this year was cause for celebration. There are 23 previously unreleased cues, and the remastering of his opening theme for opera soloist and choir ("If We Could Remember," lyrics by Paul Williams) is alone worth the price. What a shame that neither this powerful score nor its memorable song were Oscar-nominated at the time. 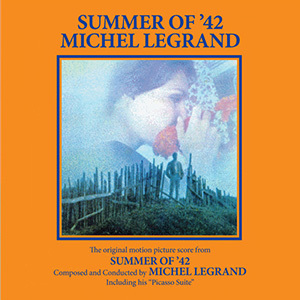 Amazingly, Michel Legrand's Oscar-winning score for 1971's Summer of '42 had never before seen a complete soundtrack release. True, there's only 17 minutes of it, but the French composer was at the top of his game – just listen to the endlessly creative orchestrational magic he works in the five-minute opening cue – and it has long deserved better than the two tracks released at the time. It's paired (as on the LP) with the score for the rarely seen 1969 Albert Finney film The Picasso Summer. This year's other definitive box set was a 4-disc compilation of the best of the scores for the final Star Trek television series (2001-05), mostly by Trek veterans Dennis McCarthy and Jay Chattaway. It's nearly five hours of music, all well-chosen and sequenced to remind us of the superb orchestral scores that accompanied Scott Bakula and company throughout their initial voyages on the starship Enterprise. At last, the perfect album of Michel Legrand's 1968 tour de force: The soundtrack album, a stereo re-recording done in France (and still beloved by all Legrand fans) coupled with the Los Angeles-recorded original film score in mono. "The Windmills of Your Mind" won Oscars for Legrand and his favorite lyricists, Alan and Marilyn Bergman, and the score for the Steve McQueen-Faye Dunaway caper film remains an iconic '60s masterwork. Legrand expert Stephane Lerouge's notes are definitive.